Most automakers are focusing the bulk of their effort and resources on their crossover SUVs. Mazda certainly has a great number of options in that popular segment of the industry, but they also haven’t let its flagship sedan fall by the wayside. A comparison of the 2018 Mazda6 vs. 2019 Honda Accord clearly illustrates this idea. 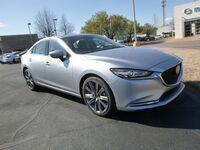 The 2018 Mazda6 has a lot to offer customers looking for something with comparable performance and comparable technology features to the Accord, but with its own unique style. 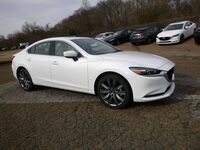 Mazda has improved the performance of the top-end trims of the sedan and provided refreshed interior and exterior style elements. Independent online reviews bear out how closely matched the Mazda6 is to the Accord. 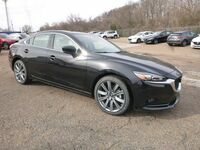 Customers can schedule a test drive with the 2018 Mazda6 today by calling, 833-241-6312. 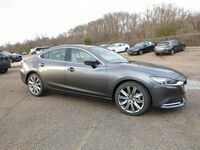 Among the areas where automotive experts have particularly praised the 2018 Mazda6 is how easy it is for drivers and passengers to enter and exit the vehicle. 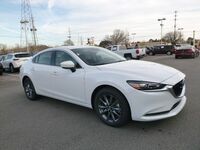 Online reviews have remarked that the Mazda sedan’s doors open plenty wide enough to help even taller drivers and passengers get in and out. By comparison, the 2019 Honda Accord losses a point or two with those same experts for having lower slung seats – which could make entry and egress a bit difficult for some. 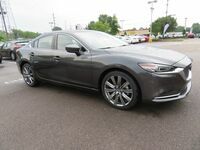 Additionally, the 2018 Mazda6 offers a very quiet interior that offers an acoustic profile that really enhances its impressive performance across all trim grades. On the other hand, the 2019 Honda Accord might let a little more road noise into the passenger cabin. Both sedans are available with the Apple CarPlay™ and Android Auto™ suites of applications. 2.5-L, 4-Cyl. Engine Turbo., 1.5-L, 4-Cyl. 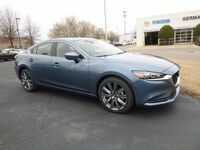 Gwatney Mazda of Germantown customers will have two engine options to choose from with the 2018 Mazda6, depending which of the five trim grades they choose to take home. 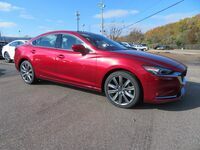 The Sport and Touring versions of the Mazda flagship sedan use a naturally-aspirated iteration of the SKYACTIV®-G 2.5-liter, four-cylinder engine. It will produce 187 horsepower. Power is sent to the front-wheels via six-speed manual or automatic transmission. 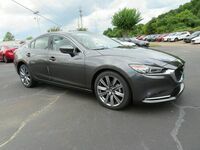 Buyers looking for a little more punch will want to consider the Grand Touring and Grand Touring Reserve. The automaker adds a turbocharger to the power plant with a peak output of 250 horsepower. Honda employs a pair of turbocharged, four-cylinder engines. Both of them make slightly more power than the Mazda6, but not in a meaningful way.